My sister needed a thank-you card, so I whipped this up in a few minutes using a layout from a previous SU catalog. Thanks for stopping by! I'll have a few more swap cards to post this week, and I have to get cracking on graduation cards. Cute card. Love the layout. 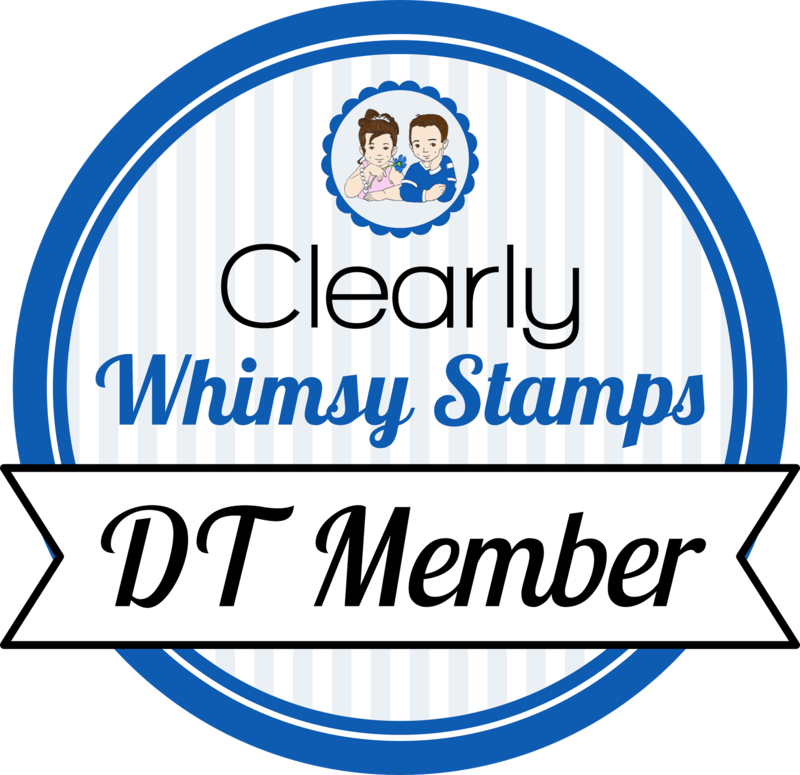 I've been sick these past few days, so I SO need to get going on some stamping!! I even missed Kristina's color challenge! So thanks for some inspiration! I really like the clean and simple style of this card! great card,Becky. simple and sweet and the colors you used are great. Love the pop of red. Great card Becky! The brad in the middle of the star is the perfect touch. 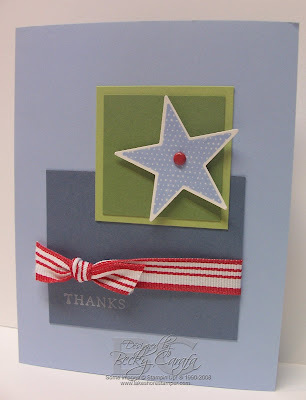 What a pretty card - love the clean and simple layout, the striped ribbon is a nice touch and the sentiment placement is just perfect - TFS! This is so super cute!! Great card! !